In 2019 you must be 21-years-old to purchase a long gun. Background checks for the purchase of ammunition. BAKERSFIELD, Calif. — In September, Governor Jerry Brown signed a series of new gun reform bills into law. 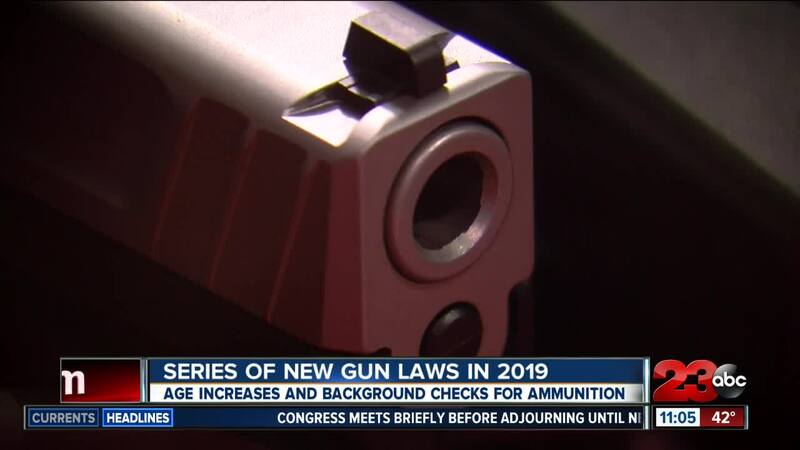 These firearm and ammunition laws are scheduled to go into effect beginning in January 2019. We spoke one local gun store owner, who says these laws are affecting business.